The Quireboys are set to storm 2013 with a series of UK dates planned and the band are currently working on a brand new studio album which will be released early June. As I’m sure your all aware, The Quireboys were formed in 1984 in London, England. After two successful independent singles (including the Top 40 “7 O’Clock”) and supports to the likes of Guns N Roses, Sharon Osbourne was appointed as manager and The Quireboys were signed to EMI for the release of their debut album, A Bit of What You Fancy. The album entered the UK Albums Chart at No. 2 and was compared favorably to British rock names such as Rod Stewart and The Faces. The album was produced by Stewart’s musical director and guitarist Jim Cregan. 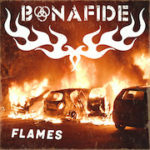 The band have experienced various line up changes along the way, but have still maintained a loyal following across the globe.. A more permanent reformation came just after 2001 with front man Spike, guitarist, Guy Griffin, Guitarist, Paul Guerin, and Keith Weir on keyboards that, to this date, remain the back bone of the band.. The band then released This Is Rock’N’Roll in 2002, followed it with Well Oiled in 2004 and 2008’s Homewreckers & Heartbreakers . The yet untitled new studio album will be produced and mixed by the legendary Chris Tsangarides ( Judas Priest, Gary Moore, Thin Lizzy), who promises a modern sound with old school values. Fast forward to January 2013, The Quireboys appointed marketing and festival guru, Jonni Davis as their new manager as well as signing a new worldwide deal with Off Yer Rocka Recordings. 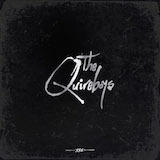 2013 can be classed as the next generation for The Quireboys. With multiple festival appearances, The Monsters of Rock Cruise now under their belt, a European Headline tour and three planned releases, things are ramping up in a manner that will put them back where they belong…on the Global playing field.